The very first felt doll I made was this tiny Indian girl from a Gingermelon pattern. 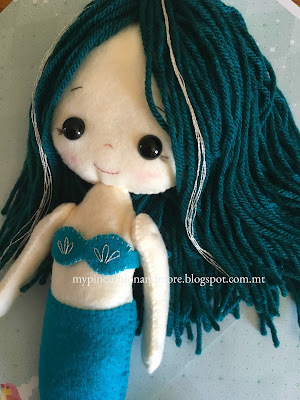 It was the first time I used felt to make dolls. She is only 12cms long. Since it was a first try, I made it from the felt I had at home. Now I would like to make a little Christmas angel, based on this same pattern.